. William "Bill" Hisle, charter member of the Miami Lions Club, was presented the Shining Star Award by Lions District Governor Gary Curtis. Billy Joe Narron received an award for sponsoring new members. 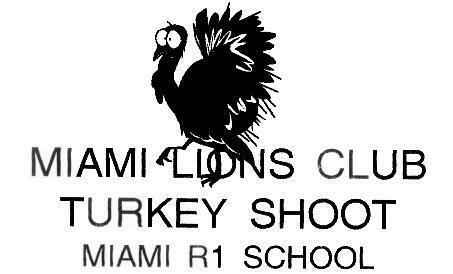 The Miami Lion Club has one of the highest memberships in the district. See print edition of The Marshall Democrat-News, 12/15/14.
. Ham and Bean and Soup Supper, Saturday, February 20, 2010 at Miami R 1 School from 5 p.m. to 7 p.m. Freewill donation, proceeds towards Billy Joe Narron's medical expenses. 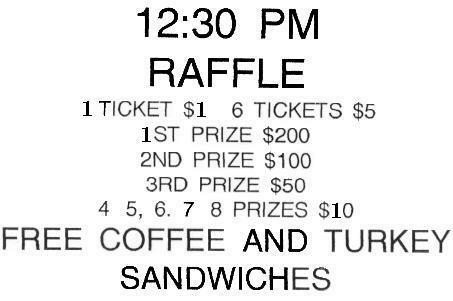 Silent auction and 50/50 raffle.